Yuri Mamleev, whose best-known novel The Sublimes has been translated into more than 10 languages, drew comparisons to Dostoevsky and Gogol for his philosophical style. The author and philosopher Yuri Mamleev died on Oct. 25 in Moscow. He is considered to have created a new literary style, metaphysical realism, which finds its expression in his philosophical study, The Fate of the Existence. In his book Eternal Russia, Mamleev follows the example of the Silver Age philosophers in creating his own conception of Russian nationalism. “A huge number of writers with different views – from the postmodernist Vladimir Sorokin to Mikhail Yelizarov or the right-wing Alexander Dugin – learned their art from Mamleev,” the author Sergei Shargunov told the MK daily. Mamleev belonged to a group of semi-underground writers not recognized by the Soviet regime and ignored by Soviet publishers. His early works were distributed through the samizdat system, where banned books were clandestinely reproduced by hand. Finding it impossible to publish at home, in 1974 Mamleev emigrated to the United States, where he lectured at prestigious universities, including Cornell. In 1983, he moved to France, where he taught Russian language and literature. During his period living abroad, Mamleev was almost forgotten in Russia – even among dissident intellectuals – but the opposite was true in the West. He quickly established a reputation among writers and Slavist, gaining recognition as one of the foremost Russian writers and thinkers. 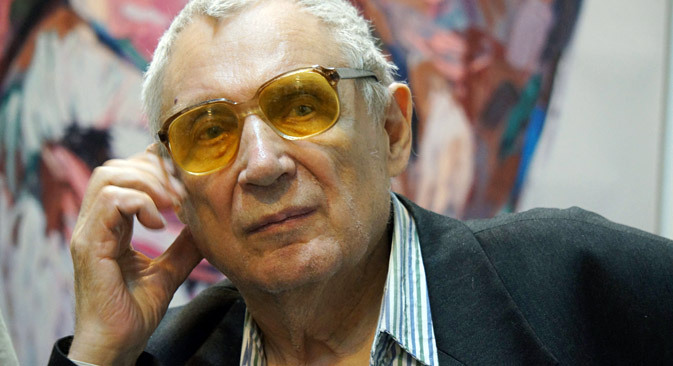 In the early 1990s, Mamleev was one of the first literary émigrés to return to Russia, where he garnered instant success, publishing numerous books, articles and essays well into the new millennium. His plays also became a staple of Russian theater. “Mamleev was the most influential Moscow esoteric thinker,” the author Dmitry Bykov told MK. Written in 1966, the mystical novel The Sublimes is one of Mamleev's most famous works. Its protagonist, Fyodor Sonnov, commits a series of murders with the aim of penetrating the mystery of the victim’s soul, and hence the hereafter, to learn the eternal secret of death by “empirical” means. “Yellow glasses, a jacket and a wife who remembered everything that the writer himself forgot,” the author Yury Serebryansky recalls about Mamleev. Based on articles in Rossiskaya Gazeta and MK.